Locally owned and operated, Harbor Point Energy Products provides reliable 24-hour delivery of high quality, competitively priced heating oil, propane, kerosene, and on- and off-road diesel and gasoline to our residential and business customers. We also offer dependable, expert installation and repair of most makes and models of oil, natural gas, propane, kerosene and air conditioning equipment. 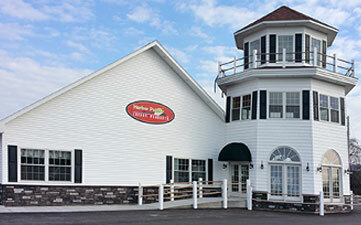 Our staff has a history of serving thousands of residential and commercial customers in Madison, Montgomery, Otsego, Herkimer and Oneida counties for nearly three decades. We pride ourselves on working harder and smarter than our competition. We're at the forefront of the industry and offer you the latest services, technology and information. We use only the finest tools and materials for the best results. And we guarantee our work and your satisfaction. Harbor Point has all the resources and capabilites of a big heating and cooling company. But because we're modest in size and locally managed, we can give you service, flexibility and respondsiveness the other guys can't come close to. After all, we're not just a heating and cooling company. We are your friends and neighbors, too.